I wonder what the other titles were? I don't see a "Dummies Guide ..." in amongst them! I dunno, could have been used for kindling. I think, in that particular skip, "energy recovery" is what it becomes. They put the unsaleable books separately from the newspapers as I gather it takes different choppers and grinders to render it suitable. This particular tip has all the different bins to keep as much out of landfill as possible. I've been learning a little bit about the paper cycle recently. It can go round eight times before it is fit only for compost or use as fuel pellets. Of course, this depends on being able to get paper back in to the process instead of lost in shreds in to landfill. So, it's all good news. Oh good, a rather heart warming story in the end. I think perhaps John Harvey Jones or some other bright spark could improve efficiency by eliminating one of the steps for that particular publication. 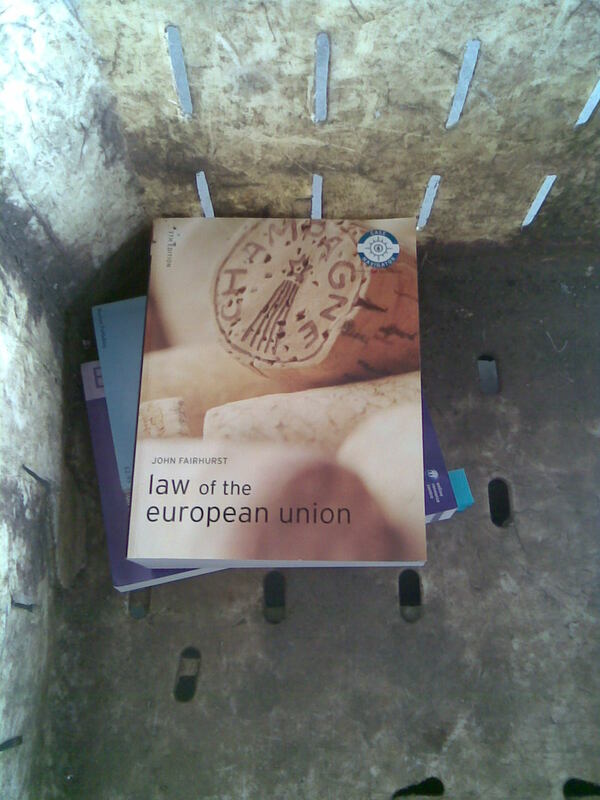 Outrageous - fancy dumping an EU publication that costs British taxpayers £1 million per copy.